Round Bottle Labeling Machine with Coding Printer MT-50M is a table type semi-automatic machine with motor and touching control by limit switch and with small volume, which can be suitable for matching with the vertical filling packing machine and used for printing the date of production and batch in the industries of food, beverage, medicine etc. This machine adopts hot stamp ribbon instead of liquid ink. It can print clear words on any packing materials with the features of simple operation and convenient maintenance.Click to view our Code Printer Machine. The machine is especially suitable for the industries of food and medicine: adopt hot stamp ribbon avoiding the anxiety of ink contamination, keeping hand and machine clean and tidy. Wide application: Any packing materials can be imprinted by it, including PP, PE, OPP, CPP film, aluminum foil, and paper. The machine has a proper structure, reliable performance, and is easy to operate. It adopts photoelectric detection which guarantees labeling accuracy. 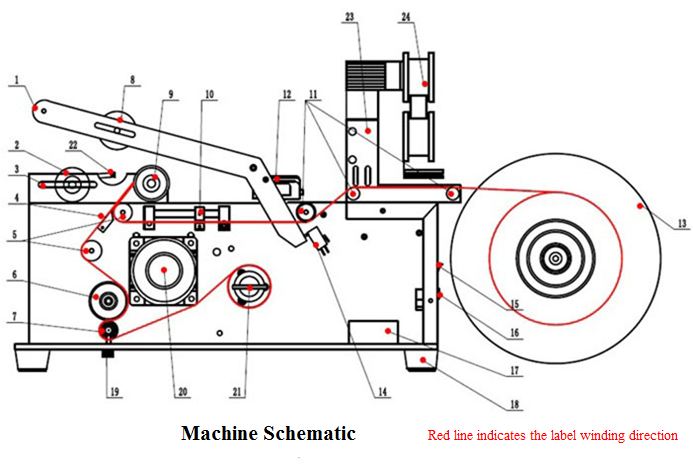 Adopts advanced labeling mechanism to ensure the labeling precision. Adaptable, and is able to label bottles of various sizes. The label optical eye, of which the sensitivity is adjustable, can identify the backing paper of the label of varied transmittance, compare and adjust light sensitivity, and optimally adjust labels of different lengths to ensure smooth and correct labeling. 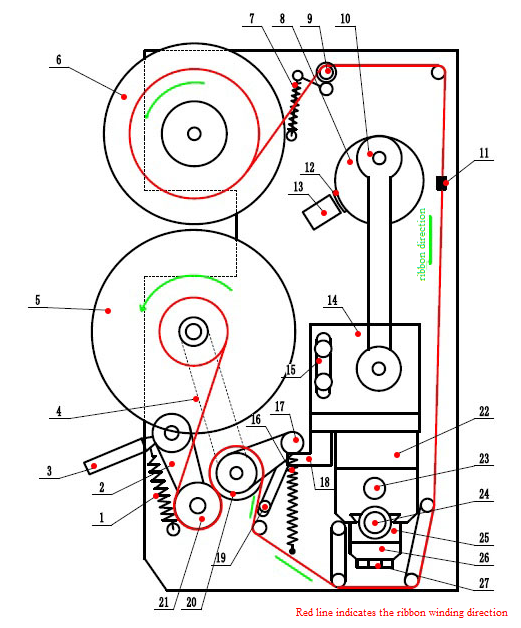 Most of mechanism, including the frame, catch pin, and fastener, adopts stainless steel and aluminum profile that are rust-proof, free of pollution, and meets the GMP environmental requirements. All metal are made of 304 stainless steel with surface finishing and special treatment, which we can guarantee you very good quality. This is standard configuration, if you need longer than this, contact us firstly, It will be customized. “Check” button: Press down the "check" button to check whether the coding meets your requirement.